The administration unit is composed of the Libraries Director, Director of the Central Library and secretarial. The unit is responsible of managing the library affairs to ensure comprehensive library services to the university community. This unit is responsible for acquiring and evaluating the library collections of all formats; readable, audible and visual materials that meet the library community needs. Library materials are mainly acquired by purchasing them. However, many materials are received as gifts or through interlibrary exchanges. 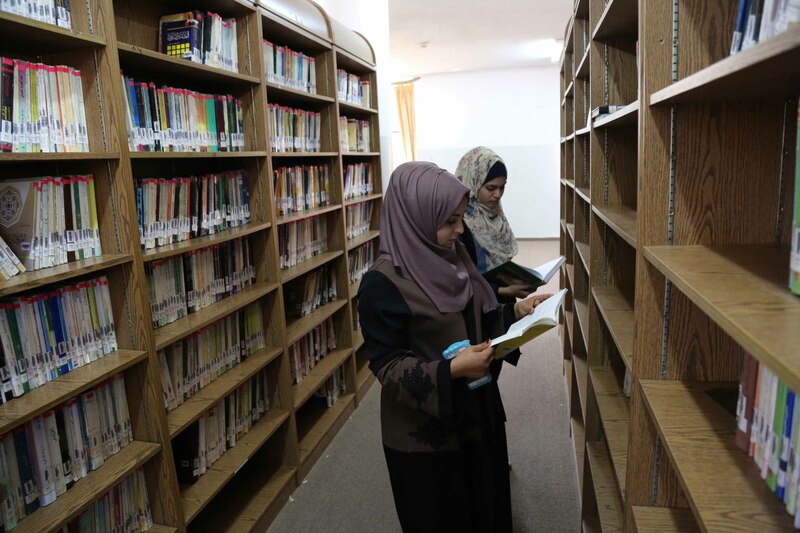 The unit is responsible for conducting the technical procedures for classification and cataloging the library collections such as descriptive cataloging, subject cataloging, indexing and abstracting. The unit aims to provide the library community with the necessary information and services. The main purpose of the unit is to issue and receive circulating materials and create and maintain collection circulation records. The unit computerizes the library materials by using an internal automated system designed by IT unit at the university. The unit also develops an automated catalog of the library materials online on the internet. The unit is in charge of providing the Library community with photocopying services in symbolic fees. The unit works to maintain a safe and secure environment for the library community by checking the books in and out the library through surveillance cameras. This unit is founded to save the Library community possessions while they are in the library.